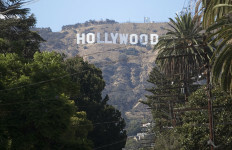 Los Angeles liberals Tuesday were mourning the loss of two of their biggest stalwarts who coincidentally died on the same day. Former Los Angeles County Supervisor Edmund D. Edelman died Monday at the age of 85 following a long illness. Stanley Sheinbaum, an influential liberal figure, fundraiser and peace activist who once orchestrated a meeting between Palestinian movement leader Yasser Arafat and Jewish American leaders and played a key role in ousting LAPD Chief Daryl Gates, also died Monday at his Brentwood home. He was 96. Edelman had been diagnosed several years ago with atypical parkinsonism, a neurodegenerative brain disorder that gradually impairs mobility and muscle function in those afflicted, according to Joel Bellman, who was his press deputy when he was a supervisor. 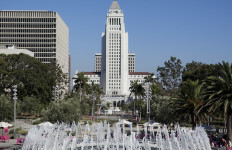 Edelman represented the board’s Third District from 1974-1994 after serving on the Los Angeles City Council from 1965-74. 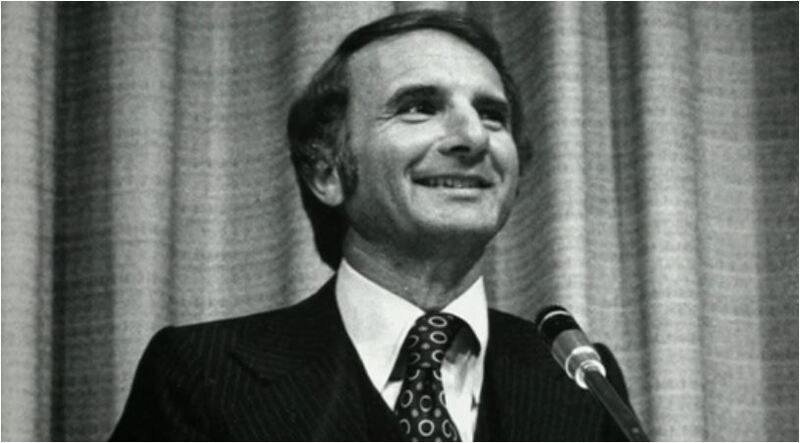 Edelman’s signature issues included addressing homelessness, promoting public transportation, championing health and public health services, expanding parks and open-space protection, and support for the arts. Edelman was an early and outspoken supporter of the lesbian, gay, bisexual, transgender and questioning community and staunch advocate for AIDS services and treatment. 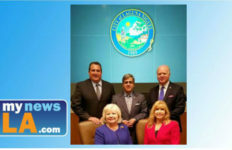 Edelman was particularly dedicated to protecting abused and neglected children, and led the effort to establish the county’s Department of Children and Family Services, and to create a dedicated children’s dependency court in Monterey Park that bears his name. Edelman is survived by his wife, Mari; two daughters, Erica (Jeme) Edelman Benadon and Emily (Bryan) Glickman; four grandchildren, Jonah and Juliette Benadon, and Adam and Alexandra Glickman; a sister, Sandra Becker; and a brother, Raymond Edelman. In lieu of flowers, the family suggests donations to the Ed Edelman Endowment for Chamber Music at the UCLA Herb Alpert School of Music, and the Ed and Mari Edelman Chamber Music Institute at the Colburn School of Music. Funeral services will be held at Hillside Memorial Park in Culver City on Thursday at 1 p.m.
Sheinbaum, the son of a New York leather goods manufacturer, Sheinbaum was a major player in various turning points throughout the international, national and local history of the past half-century. His earliest high-profile role came in the late 1950s, when he worked with journalist Robert Scheer to expose the CIA’s connections to a Michigan State University program tasked with advising the government of South Vietnam. He was also a major fundraiser for — as well as the face of — a defense fund for Daniel Ellsberg, a military analyst who leaked the Pentagon Papers. Sheinbaum was also responsible for organizing a group of Jewish American leaders to meet with Arafat to persuade the Palestine Liberation Organization leader to disavow terrorism and recognize Israel’s right to exist. That initial meeting eventually led to Arafat and Israeli Prime Minister Yitzhak Rabin shaking hands at the White House in 1993. In Los Angeles, Sheinbaum made his mark on the Police Commission, when he joined the panel just after the police beating of Rodney King. Rep. Maxine Waters, D-Los Angeles, told the Los Angeles Times that Sheinbaum walked the streets of South Los Angeles during the rioting that followed the King beating, at one point stepping in to calm down a tense encounter between protesters and police. While on the commission, Sheinbaum led the effort to drive out Gates, the police chief at the time, who was criticized for his handling of the King beating. Sheinbaum also ran twice for Congress unsuccessfully, and lent his fundraising skills to various liberal causes, including the American Civil Liberties Union of Southern California. Los Angeles Mayor Eric Garcetti was among those who publicly mourned Sheinbaum’s passing. “Stanley Sheinbaum embodied what it means to be an Angeleno — giving freely of his time, wisdom and resources to the causes of justice, equality, peace and democracy,” Garcetti said in a statement. “He loved Los Angeles, and was a tireless advocate whose courageous stances breathed life into monumental change on both the local and global stages — from helping to guide our police department during some of its most difficult days, to clearing the way for historic Middle East peace talks and pushing some of California’s top universities to divest from apartheid-era South Africa,” Garcetti said.